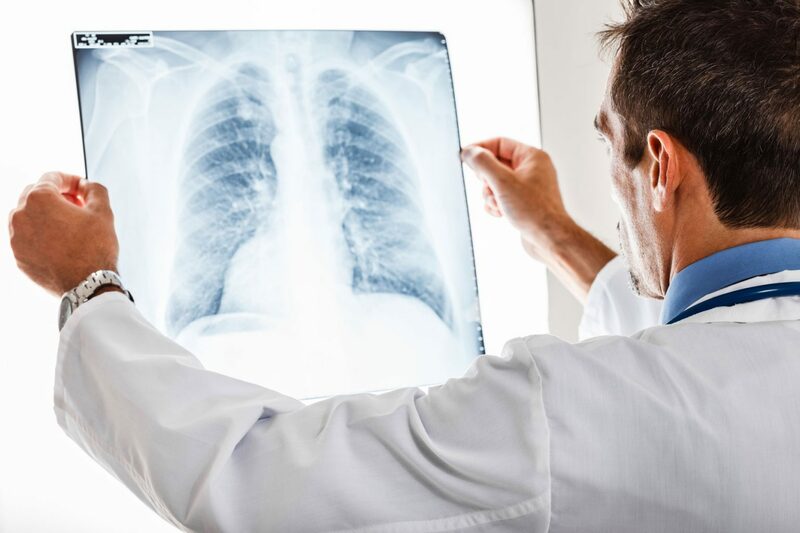 X-ray Imaging (radiography) is still the most commonly used imaging technique in radiology. To make a radiograph, a part of the body is exposed to a very small quantity of x-rays. The x-rays pass through the tissues, striking a film to create an image. X-rays are safe when properly used by radiologists and technologists specially trained to minimize exposure. No radiation remains after the radiograph is obtained. X-rays are used to image every part of the body and are used most commonly to look for fractures. They are also used to examine the chest, abdomen, and superficial soft tissues. X-rays can identify many different conditions within the body, and they are often a fast and easy method for your doctor to make a diagnosis. X-rays are fast, easy, and painless. The part of your body to be examined will be properly positioned, and several different views may be obtained. The technologist will instruct you to hold still and in some cases hold your breath while the x-ray is being taken to eliminate blurring. X-ray exams generally take around 20 minutes, after which you will be able to return to normal activities. There is no preparation required for a radiograph. You may be asked to change into a hospital gown to eliminate the chance of artifacts from your clothing. You will also be asked to remove any jewelry, eyeglasses, or any other metal objects. Women should always inform their technologist if there is any possibility of pregnancy. After your study is over, the images will be evaluated by one of our board-certified radiologists. A final report will be sent to your doctor, who can then discuss the results with you in detail. X-rays are available at El Camino Imaging Center, Northwest Imaging Center, X-Ray Associates at Farmington and X-Ray Associates at Santa Fe.